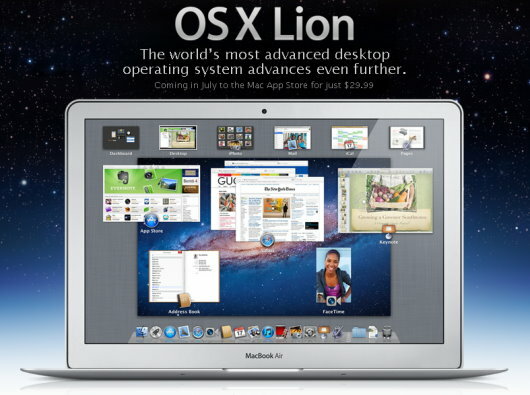 Apple to launch Mac OS X Lion tomorrow? Apple told us that Mac OS X Lion — the next version of the company's popular operating system — will become available sometime this month. Rumors had our hopes up with assumptions that it'd be here last week. But now? Now reports are telling us that it's coming tomorrow. The installations have come on hard drive and are meant for the Apple Retail demo computers on the store floor. This, of course, doesn't guarantee a specific launch date, but brings Apple one step closer to launch. Now, while we agree that the mere presence of Mac OS X Lion inside Apple stores doesn't indicate that the operating system will launch soon, some of the gossip heard by the folks at 9to5 Mac definitely gives us a little bit of hope that we might wake up to a roar tomorrow morning.